Israel is preparing to demand compensation from several Arab states and Iran which forced Jews to leave after 1948 and following the establishment of the State of Israel, Israel’s Hadashot TV reported. The compensation is estimated at nearly $ 250 billion for property and assets left behind by the Jews. This total sum will be requested from Tunisia, Libya, Morocco, Iraq, Syria, Egypt, Yemen and Iran. 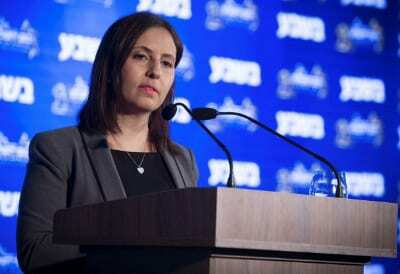 “The time has come to correct the historical injustice of the pogroms in seven Arab countries and Iran, and to restore the hundreds of thousands of Jews who have lost their property to what is rightfully theirs,” Israel’s Minister for Social Equality Gila Gamliel, who is coordinating the Israeli government’s handling of the issue, said Saturday. According to the report, Israel will ask $35 billion in compensation from Tunisia and $15 billion from Libya. The Israeli government used the services of an international accountancy firm to quantify the value of property and assets left behind by Jews in Arab countries. The issue of the compensations to the some 850,000 Jews who lived in Arab countries and who have been uprooted and lost their assets and property in the process surfaced during various cycles of negotiations between Israel and the Palestinians. During the Camp David peace talks of 2000, President Bill Clinton announced that if an agreement would be reached, an international fund should be established to compensate the refugees, both Arab refugees and Jewish refugees from Arab countries. In April 2008, the US House of Representatives stated that Jewish refugees should be recognized as refugees by the UN Convention, and an international fund should be established to compensate Jewish and Arab refugees for the loss of their property. According to this decision, one refugee population problem should not be resolved without simultaneously resolving the other refugee problem. The report added that the demand for compensations from the Arab states resurfaced now ahead of the Trump Administration’s unveiling of its Israeli-Palestinian peace proposal. Will similar compensation apply for Palestinians forced out of the home and farms in Israel with many of their descendants now living in Gaza or other countries?